The "global community" is a term we take for granted today. But how did the global community, both as an idea and as a reality, originate and develop over time? This book examines this concept by looking at the emergence, growth, and activities of international organizations--both governmental and nongovernmental--from the end of the nineteenth century to today. Akira Iriye, one of this country's most preeminent historians, proposes a significant rereading of the history of the last fifty years, suggesting that the central influence on the international scene in this period was not the Cold War, but rather a deepening web of international interactions. This groundbreaking book, the first systematic study of international organizations by a historian, moves beyond the usual framework for studying international relations--politics, war, diplomacy, and other interstate affairs--as it traces the crucial role played by international organizations in determining the shape of the world today. 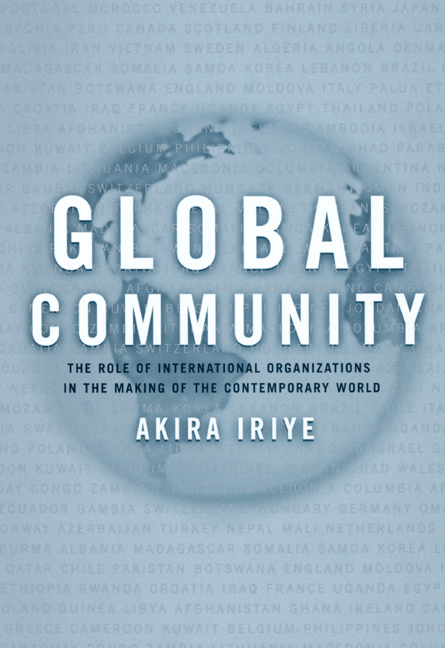 Iriye's sweeping discussion of international organizations around the world examines multinational corporations, religious organizations, regional communities, transnational private associations, environmental organizations, and other groups to illuminate the evolution and meaning of the global community and global consciousness. While states have been preoccupied with their own national interests such as security and prestige, international organizations have been actively engaged in promoting cultural exchange, offering humanitarian assistance, extending developmental aid, protecting the environment, and championing human rights. In short, they have made important contributions to making the world a more interdependent and peaceful place. This book, tracing the development of the global community in a truly innovative way, will win a wide readership among those interested in understanding the growing phenomenon of globalization and its meaning for us today. 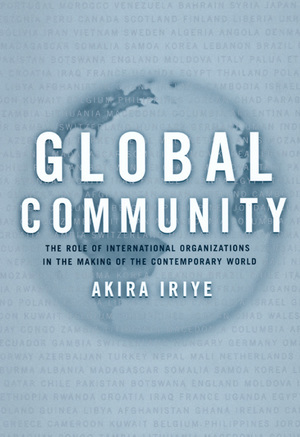 Global Community is based on Iriye's Jefferson lectures at the University of California, Berkeley. Akira Iriye is Charles Warren Professor of American History at Harvard University. He is the author of numerous books, including Cultural Internationalism and World Order (1997), The Globalization of America (1993), and China and Japan in the Global Setting (1992).